Litigation in Commercial Fire Insurance Claims | The Voss Law Firm, P.C. A number of major fires and disasters have affected people in Texas in the last few years, and individuals and businesses alike want to be responsible in negotiating their insurance claims for the property damage. When you submit an insurance claim, you may hope for an orderly claims process that will help get your company back on its feet and cover the extensive costs of recovering from fire losses. It’s not an unreasonable expectation, but many business owners have been shocked by the complex problems they’ve run into while negotiating their claims. Attorney Bill Voss knows that, even after years of waiting, many companies are still unable to negotiate a reasonable settlement with the fire insurance company, and their businesses suffer as a result. If alternative dispute resolution has failed or isn’t a good option in your case, it may be time to move on to litigation. While resolving an insurance dispute through litigation can be costly, there are times when it is the only option left for your business—and it’s important that you take advantage of your rights. Especially in large-loss fire insurance claims, the additional cost and hassle of litigation is often offset by the relief of getting the benefits of the coverage you pay for and being able to move on with needed recovery and replacement efforts. 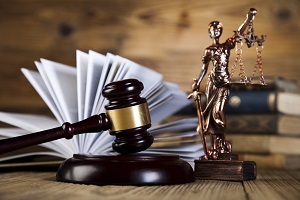 If you are unsure if insurance litigation is the right choice for your company’s fire recovery, or if you want to avoid potential disputes before they happen, we strongly recommend you discuss your concerns with an experienced policyholder advocate. Understand the policy language and benefits you are entitled to. Know how to negotiate with insurers. Know how to work swiftly and cost-effectively. Know how critical it is to get a positive outcome. Know how to assess the impact a fire or other disaster has on a business. Help you avoid disputes that lead to litigation. Help you weigh the benefits of different dispute resolution methods. Prepare your claim with the potential for litigation in mind. Help you assert your rights in litigation if other resolution efforts fail. Unfortunately, when it comes to fire insurance claims, insurance companies will try to undervalue the losses or deny claims using every trick in the book. However, the attorneys at the Voss Law Firm are skilled in helping businesses with difficult insurance claims, and we are aware of the tricks insurance companies use. We also know how to fight back in order to get you the benefits that you and your company are entitled to. Do you have questions about commercial insurance claims or litigation? Call or email our team directly, or leave us a quick comment below. You can also learn more by reading through a free copy of our book, Business Disputes: Critical Information for All Business Owners—Small and Large. How Much Does it Cost to Hire a Commercial Litigation Attorney?